Varadkar felt the ire of frontline staff in November this month when he suggested that consultants should not take holidays in the first week of the year. 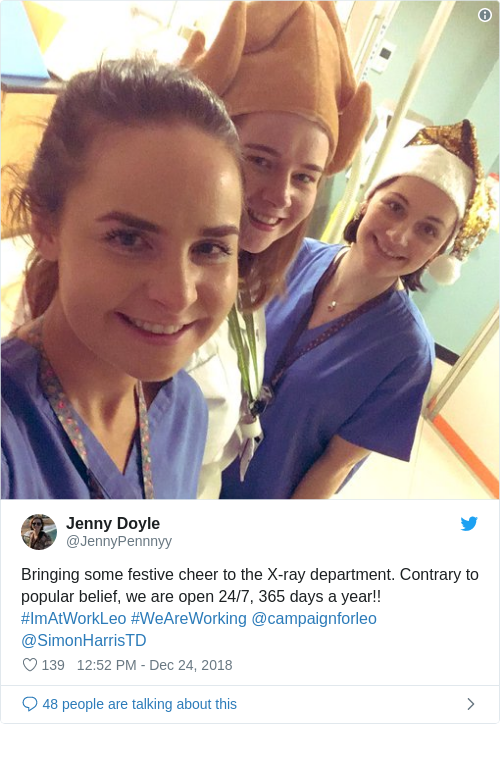 FRUSTRATED DOCTORS AND nurses have been using social media to remind Taoiseach Leo Varadkar that they’re working unsociable hours over the Christmas period. Varadkar felt the ire of frontline staff in November when he suggested that consultants should not take holidays in the first week of the year, particularly those who work in emergency departments, and that nurses should not take leave in the first two weeks of January. Varadkar said the annual new year strain on services is “entirely predictable”, noting that between 22 December and 3 January about seven days are bank holidays or fall on the weekend. “Radiology departments don’t work at full throttle, laboratories don’t work at full throttle. Many have been using the hashtags #WeAreWorking and #ImAtWorkLeo to vent their frustration. 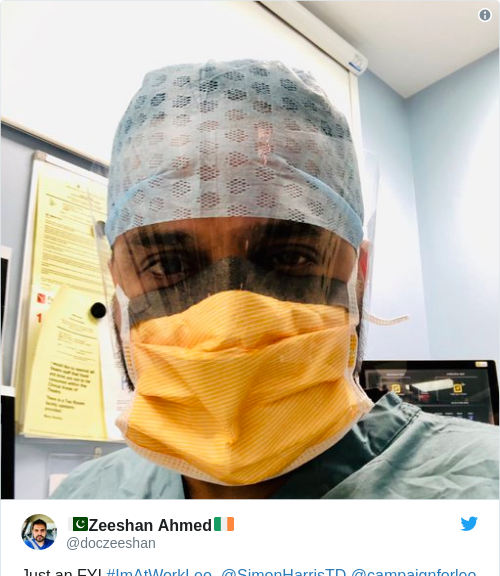 Many of the country’s hospital workers shared their tweets aimed at the Taoiseach, who himself is a doctor, to remind him of all the long shifts they do. Others wanted to poke fun and Varadkar’s claims that hospitals effectively shut over Christmas. Radiographer Jenny Doyle tweeted that she was bringing some festive cheer to the X-ray department. One anaesthetist wanted to tell the Taoiseach that she was coming back for another long slog but that the spirit inside the hospital was keeping everyone going. Nick Flynn, a GP with Southdoc, said that he’s on call and there are 60 patients to be seen. He also claimed that he had five house calls pending and that there was zero funding for it. You can read it here. Varadkar has held firm in the face of the backlash. Addressing doctors’ anger in November, he said that there needs to be full staffing in place during the busiest season of the year. “Every business, every industry, every service has a period of peak demand. “If you’re working in retail, it’s the week running up to Christmas. If you’re working in education, it’s the first week or two of September. If you’re in politics, it’s Budget week and the few weeks around the Budget. If you’re in tourism, it’s the summer period and the bank holidays.